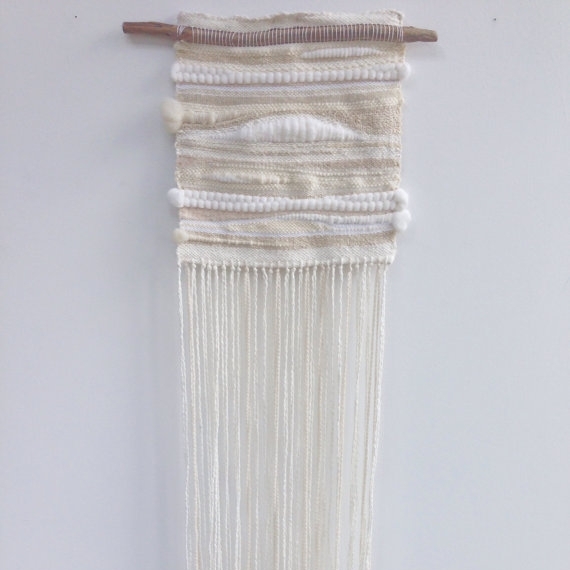 wooden/woven is a joint show exhibiting fiber works by Jaime Lefcovich and reclaimed lath works by Cyan Bott. Jaime Lefcovich is an artist, practitioner of traditional medicine and currently studying to become a mid-wife while living in Portland, OR. Inspired by the interplay and connection of elemental energies, Jaime strives to integrate the movement and texture of the natural world into her work. Earth, air, fire, water, and ether play a role in each piece. The feelings of stillness and movement through time and space are also themes that arise throughout her body of work. Cyan Bott is an artist and maker living and working in Portland, OR. Her main interests are in texture, structure, and problem solving. Since graduating from Oregon College of Art and Craft with a BFA in Fibers in 2008 she has gone on to explore many mediums and has worked as a seamstress, landscaper, and sign painter – among other things. Recently she has returned to her roots with these reclaimed lath pieces, employing techniques learned in her dad’s woodshop. Artists Reception on Friday, February 2nd, from 5pm-9pm. Wine and refreshments served.